CHANEL is out to create the most extravagant handbag ever. The “Diamond Forever” handbag by CHANEL is made with the most precious materials that represent true quality. 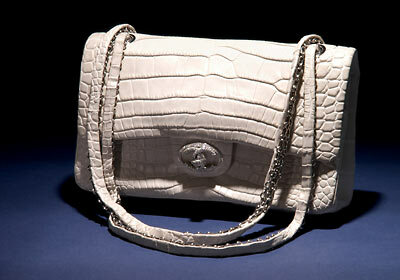 The handbag is created with alligator skin which is farmed and treated with a matte finish. The CHANEL “C’s” are encrusted with a hefty 334 diamonds ( a total of 3.56 carats) set in 18-carat white gold. The cost of the CHANEL handbag will do damage to your wallet considering the price is $260,150 and is limited to only 13 units.